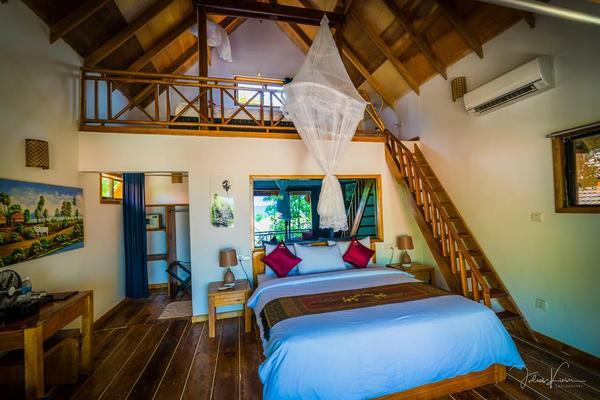 Welcome to comfort in Paradise: relax on the white sandy beaches, swim in the crystal-clear ocean waters, explore the exotic wildlife, try the delicious local foods and to top it all off, unwind in a wonderful accommodation. 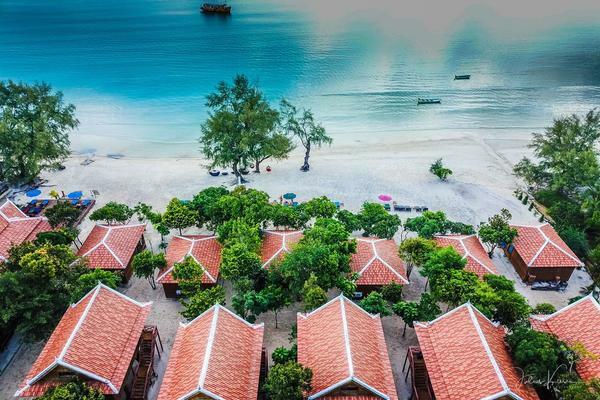 Conveniently located at the heart of Saracen Bay, Sol Beach Resort offers you the very best of Koh Rong Samloem; located just off the coast of Sihanoukville. 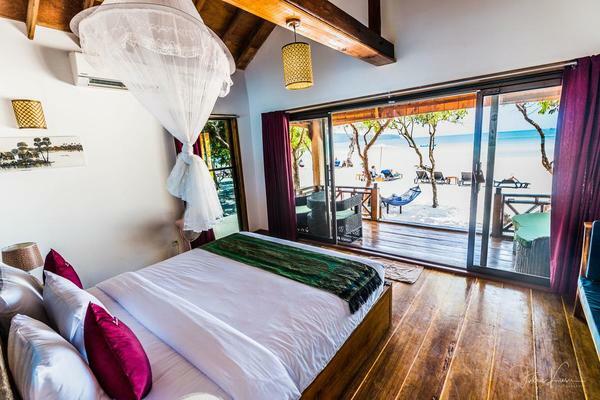 Sol Beach offers beautifully designed Khmer-style villas that include large soft beds, modern bathrooms (with a shower, a bath, and hot water), air-conditioning, fans, mosquito nets, Wi-Fi, and outdoor covered decks.. 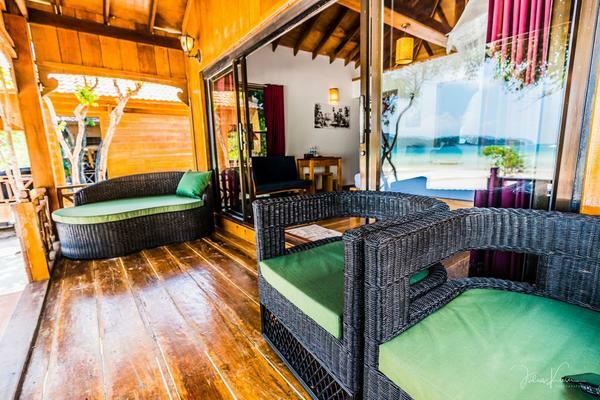 The Beach Front Villa sleep 2 people and are, as the name suggests right on the front of the resort with perfect ocean views. 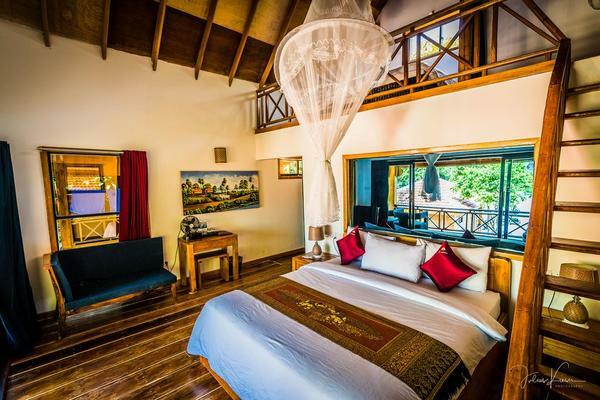 Set behind you have the Treehouse Villas, which are higher so still have ocean views but you are not on the first row. 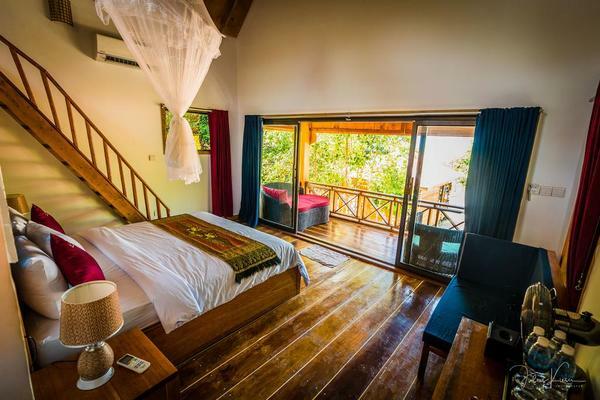 The Treehouse Villas sleep 4 people and have a maezzanine level with twin beds upstairs. 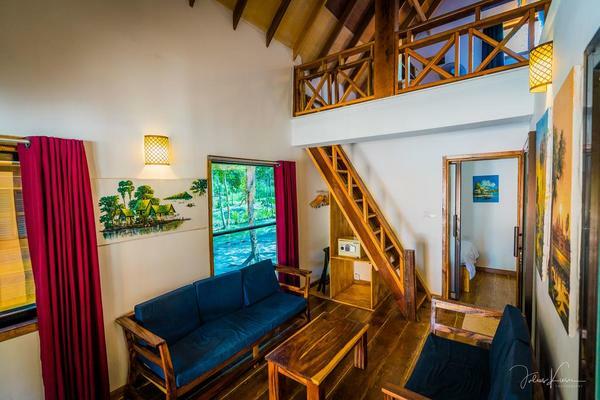 Family Villa sleeps 6 people with two bedrooms as well as a mezzanine level. But the largest and newest building of all is the Residence Villa which can sleep up to 10 people. It has 3 rooms including a double and a twin as well as a big kids' room with bunk beds for six children - it has two sets of bunk beds with a pull out third bed under them. 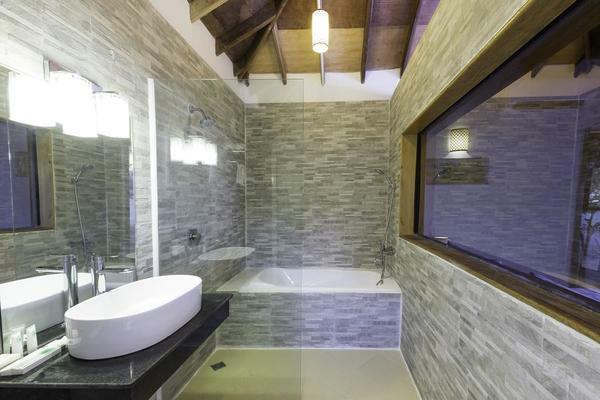 It is fully equipped with a kitchen, washing machine, tv, two bathrooms and even has a private butler! 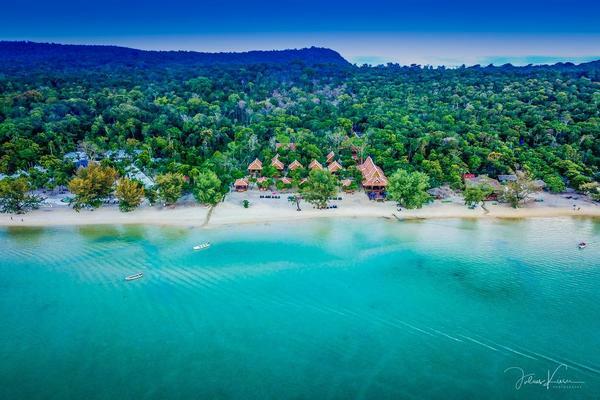 Sol Beach has great infrastructure that will ensure comfort and enjoyment, such as pure clean water, filtration system, 100% international plastic septic system, 24hr electric power and redundant water pressure booster pumps. For dining, the bar and restaurant, located directly on the beach, offers a great selection of delicious local foods, comfort western dishes, freshly squeezed juices, chilled beers, cocktails, and wines. During the day, a variety of snacks and beverages, are delivered to your beach-chair or your room! At night time the offer changes into a more refined cuisine, with a focus on classic Khmer dishes and well-known western foods. 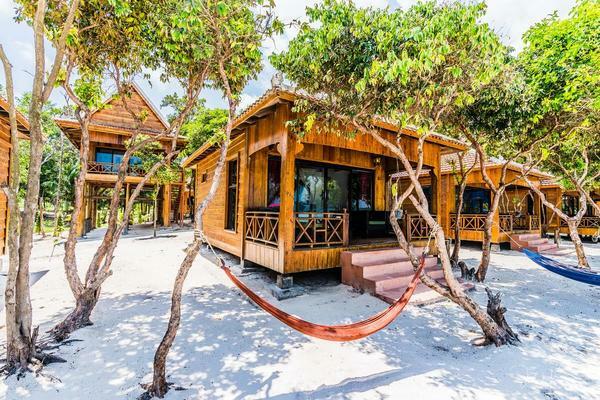 Spa services are also offered in wide range, as well as various activities such as swimming in the jungle waterfalls, trekking in the jungle and snorkeling & scuba diving. Our tip: We recommend you try the Fish Amok – It’s known around the island!